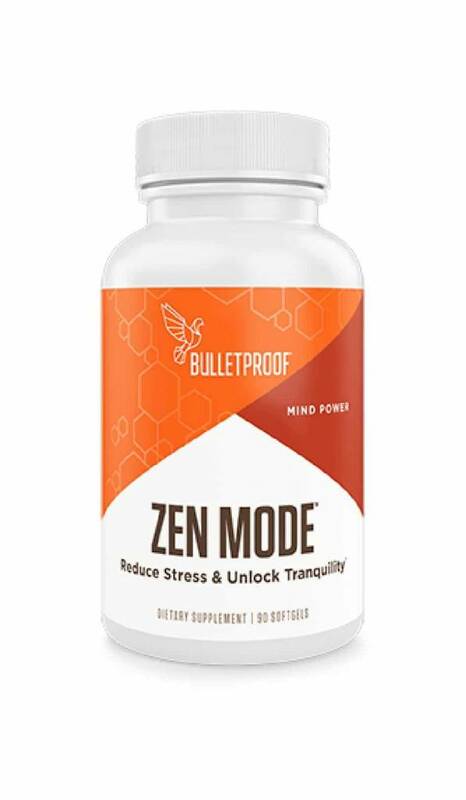 Bulletproof Zen Mode supports your mental resilience. 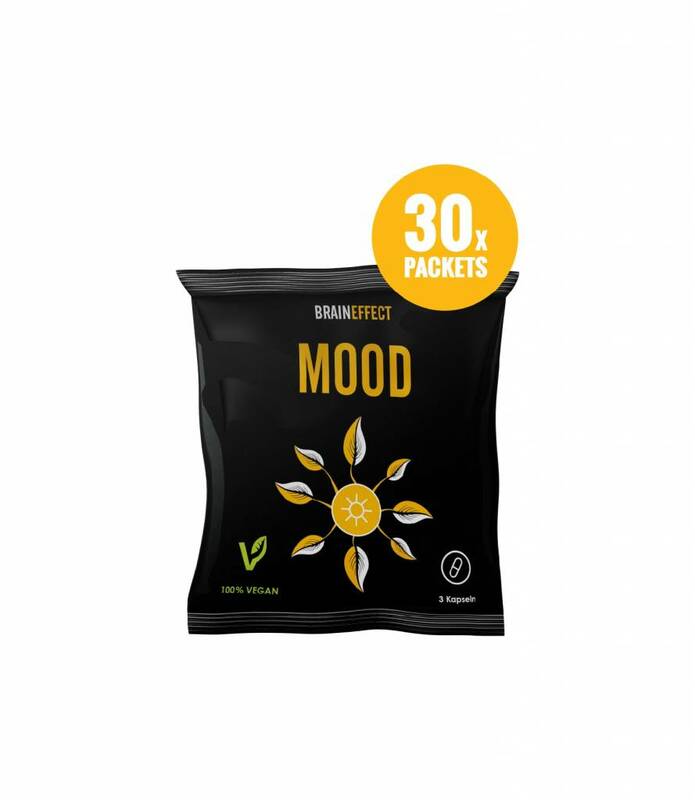 Contains vitamin B6, magnesium, L-theanine, 5-HTP, GABA and high-quality herbal extracts. 45 or 90 capsules per jar. What is Bulletproof Zen Mode? 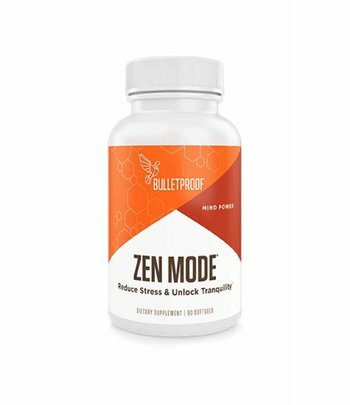 Bulletproof Zen Mode is composed of different herbal extracts and nutrients. 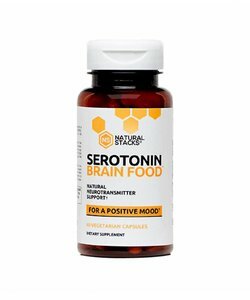 Vitamin B6 and magnesium contribute to supporting a normal nervous system function, reduce fatigue & tiredness, and support mental resilience. This amino acid is commonly found in green tea. Suntheanine® is produced with a patented fermentation process that mimics the natural production process of L-theanine in green tea. 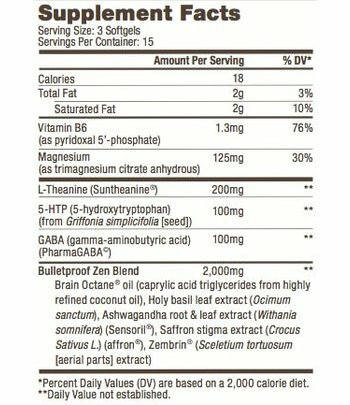 This makes Suntheanine 100% pure L-theanine. The 5-hydroxytryptophan (5-HTP) in Bulletproof Zen Mode is purified from Griffonia simplicifolia, a plant-based source of 5-HTP. 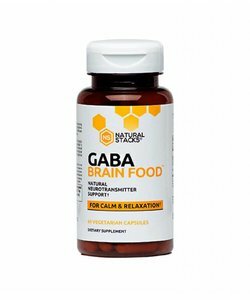 Gamma-aminobutyric acid (GABA) is a brain neurotransmitter. PharmaGABA® is made using the lactic acid bacterium Lactobacillus ligardii, which is also used to make kimchi, Korean fermented cabbage. The bacteria produce GABA from nutrients, after which the GABA can be purified from the mixture. 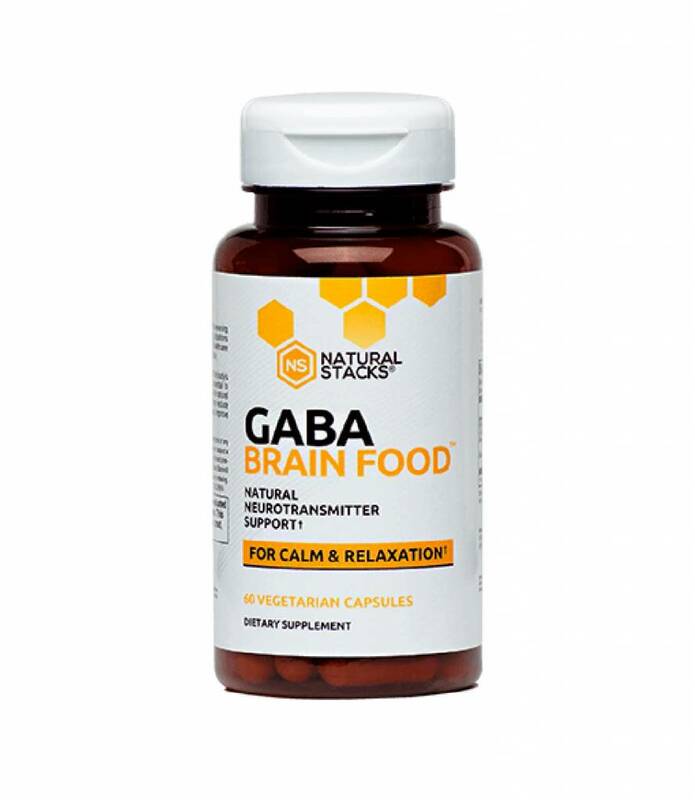 PharmaGABA is the natural form of GABA. 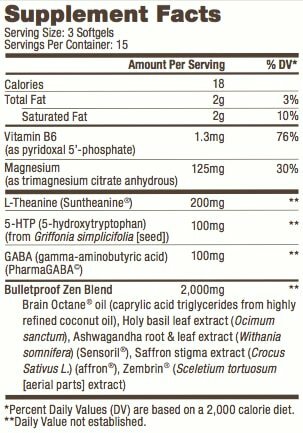 This mixture of herbal extracts and coconut fats is composed by Bulletproof. Brain Octane is a medium-chain triglyceride oil made from coconuts. This oil contains mainly octanoic acid (C8), to which the oil owes its name. Holy basil (Ocimum sanctum) is an herb found in India. This herb is often used in Ayurveda. Ashwagandha (Withania somnifera) is another herb often used in Ayurveda. Zen Mode contains the Ashwagandha extract Sensoril®, made from roots and leaves. This extract is made using aqueous extraction methods and organically grown Ashwagandha. Saffron (Crocus sativus L.) is an herb found in India. Affron® is the extract of saffron crocus stigmas. Kauwgoed / kanna (Sceletium tortuosum) is an African herb that has long been used by the traditional population. Zembrin® is a kanna extract from organically grown and ethically sourced kanna. 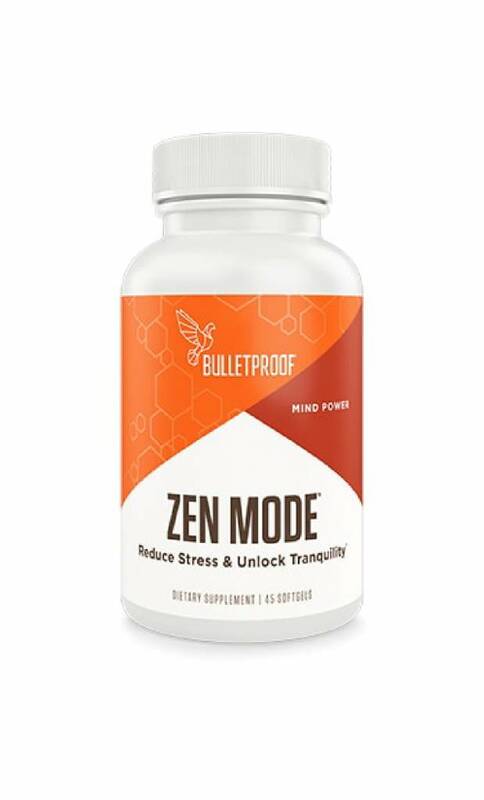 Bulletproof Zen Mode is produced with strict, internal quality controls and free from GMOs, soy, gluten, artificial colors, and preservatives. 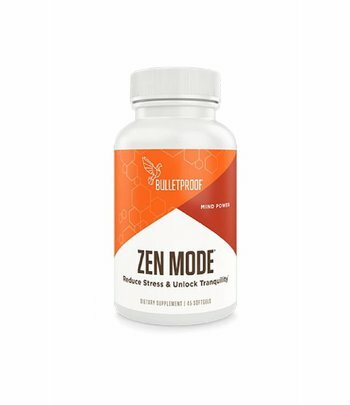 Take 3 capsules of Bulletproof Zen Mode daily for mental resilience. Suntheanine® is a trademark of Taiyo International, Inc.
PharmaGABA® is a trademark of PharmaFoods International Co., Ltd.
Affron® is a trademark of Pharmactive Biotech Products, SL. Zembrin® is a trademark of HG&H Pharmaceuticals (Pty) Ltd.